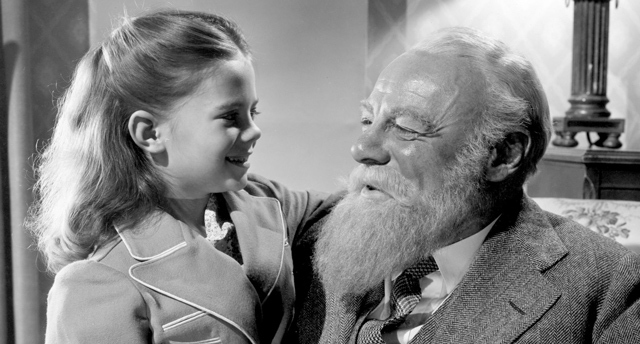 "Miracle on 34th Street" (1947) is a holiday classic. It was made during a brief period of time when Hollywood was making a string of sentimental classics such as "It's a Wonderful Life" (1946) and "The Best Years of Our Lives" (1946). 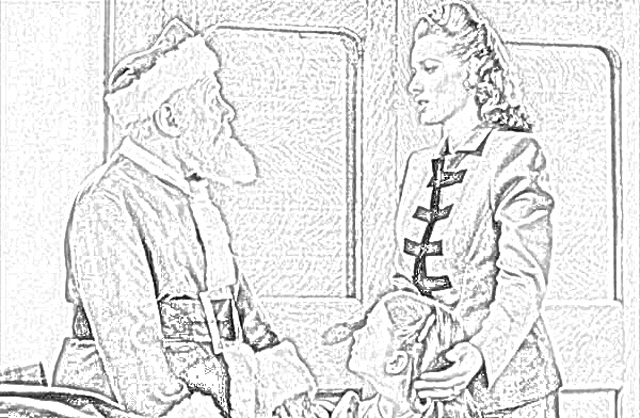 "Miracle on 34th Street" stars Maureen O'Hara, John Payne, Edmund Gwenn, and a young Natalie Wood. 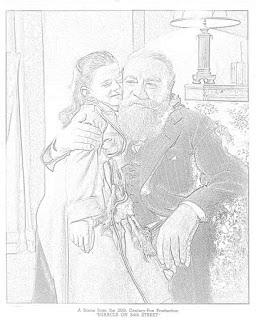 George Seaton wrote and directed "Miracle on 34th Street." 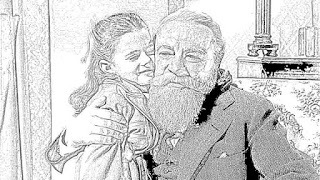 Seaton based his script on a story by Valentine Davies. "Miracle on 34th Street" is the story of a department store Santa Claus who claims to be the real Santa and whose influence drastically affects the lives of those around him. Edmund Gwenn won an Oscar for Best Actor Actor in a Supporting Role for his role as Kris Kringle. 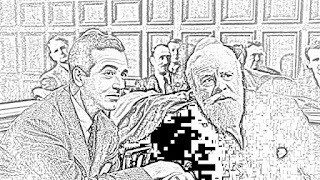 George Seaton won the Academy Award for Best Writing, Screenplay, while Valentine Davies won the Oscar for Best Writing, Original Story. "Miracle on 34th Street" has become a holiday favorite that is one of a handful of live-action films that are the elite of seasonal classics. 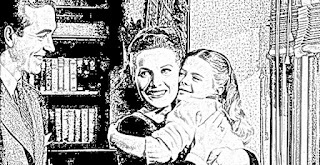 Others in this group include the aforementioned "It's A Wonderful Life," "A Christmas Carol," "Babes in Toyland," and "A Christmas Story." While "Miracle on 34th Street" is an obvious holiday movie, 20th Century Fox, which produced and distributed the film, decided to release it on June 4, 1947. 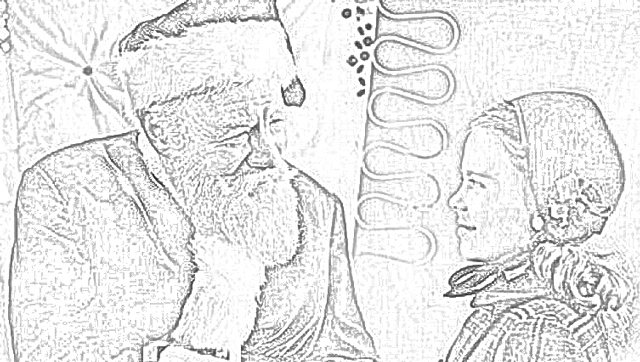 June, obviously, is not the holiday season, so it was an odd time to release a Christmas-themed film. 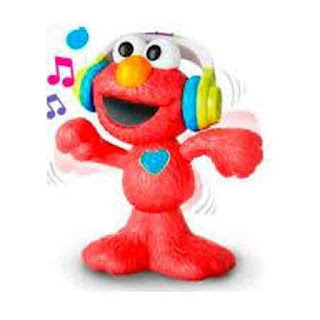 Very few people are thinking of the holiday season in June. 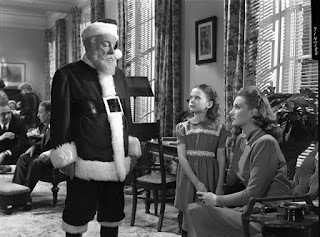 Despite this, "Miracle on 34th Street" did fairly well at the box office, earning $2.7 million on a budget of $630,000. One can think of this as counter-programming of a sort, but it was still an odd decision that was based on the simple fact that more people go to movies during the summer than in the winter (which is still the case). 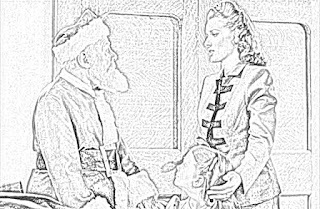 The initial box office of "Miracle on 34th Street," however, is dwarfed by its subsequent earnings as it became an undeniable holiday classic. "Miracle on 34th Street" concludes with the Johny Payne and Maureen O'Hara characters buying a house. The real house used for that scene is at 24 Derby Road, Port Washington, New York. It still looks pretty much the same. 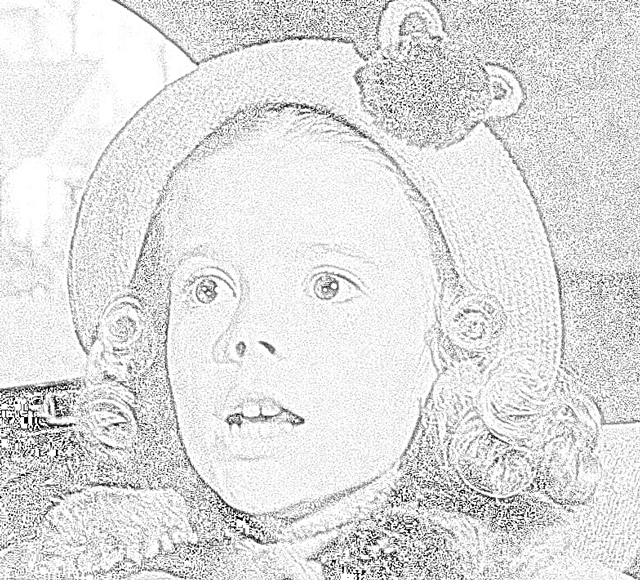 The child star of "Miracle on 34th Street," Natalie Wood, was a well-known child actress at the time of its production. 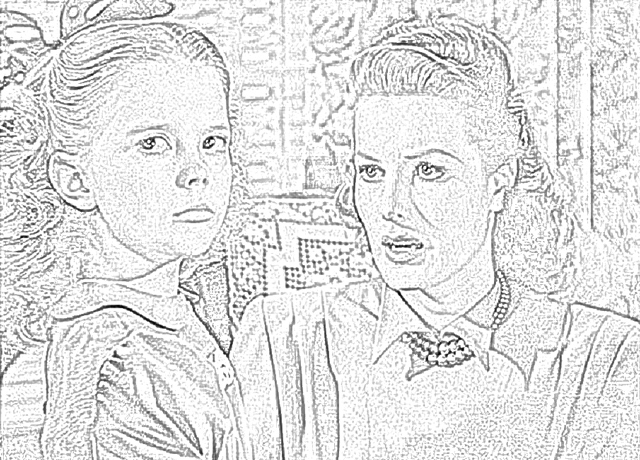 She first began acting in the 1943 film "Happy Land," and was named the Most Talented Young Actress of 1946 by Box Office Magazine. Edmund Gwenn, who plays Kris Kringle in "Miracle on 34th Street," was an accomplished British actor who began acting in 1895 and became a silent film actor. 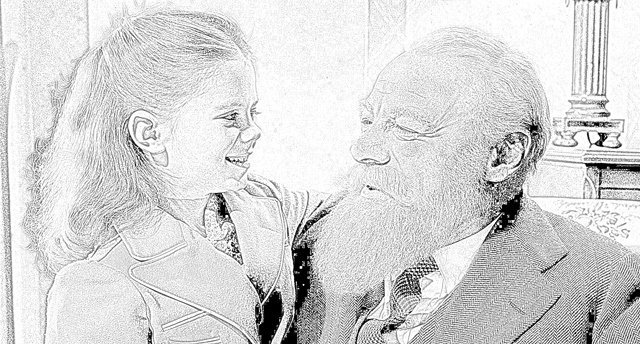 Not particularly prominent in Hollywood at the time, Gwenn reached his height of fame with "Miracle on 34th Street." 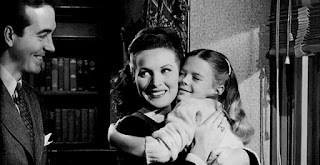 Maureen O'Hara, who plays Macy's event director Doris Walker in "Miracle on 34th Street," already was a top Hollywood actress. Just as Edmund Gwenn had acted in four Alfred Hitchcock films, O'Hara had broken through to stardom in the Hitchcock film "Jamaica Inn" (1939). O'Hara was the biggest Hollywood star at the time, and she receives top billing despite the film's focus on the Kris Kringle character. 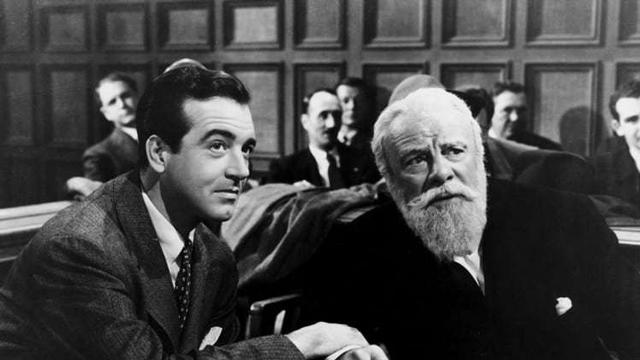 John Payne, attorney Fred Gailey in "Miracle on 34th Street," was a top B-movie leading actor. 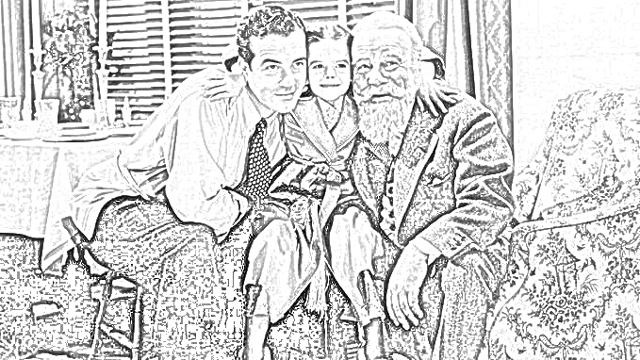 The success of "Miracle on 34th Street" enabled Payne to get better roles at other studios. 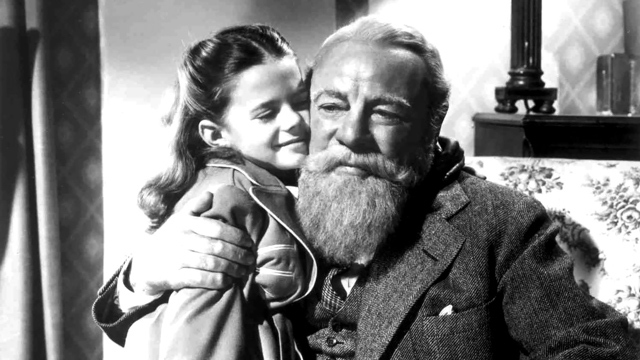 Natalie Wood, who was eight years old, honestly thought that Edmund Gwenn was Santa Claus during the filming of "Miracle on 34th Street." 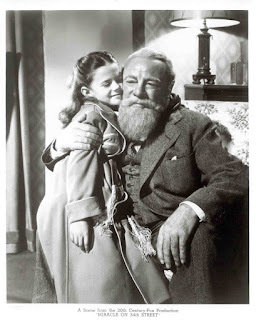 There were good reasons why Natalie Wood might have thought that Edmund Gwenn was the real Santa. 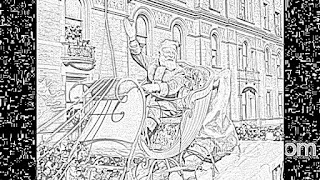 Besides his obvious resemblance to Santa Claus, Gwenn played Santa Claus in the Macy's Thanksgiving Day Parade on 28 November 1946. This was a real event, not done for the film, a very unique example of verisimilitude for a young girl. 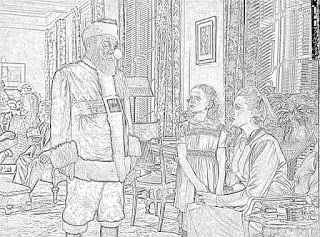 Gwenn did this for real, not as a stunt, though, of course, it tied in nicely with his role in "Miracle on 34th Street." 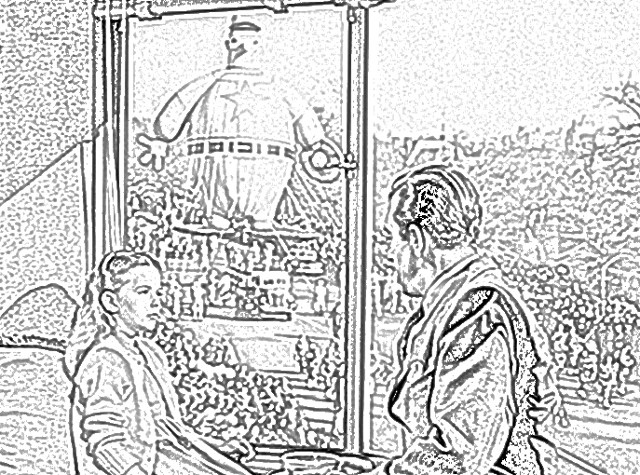 The crew for "Miracle on 34th Street" had motion-picture cameras placed at several points along the Macy's Thanksgiving Day Parade route. Every scene showing the parade in the background was shot in one and only one take. 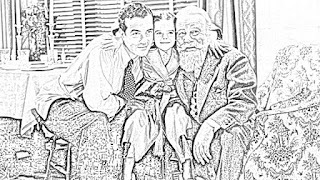 Everybody on the set loved Edmund Gwenn. According to Maureen O'Hara, the movie set of "Miracle on 34th Street" was extremely friendly. William Frawley, a little-known actor at the time, plays a canny political operative in "Miracle on 34th Street." 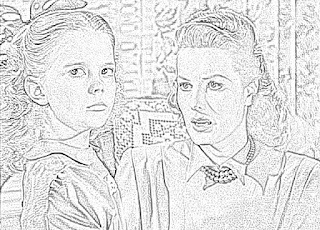 A few years later, Frawley got his friend Lucille Ball to cast him as Fred Mertz in "I Love Lucy." 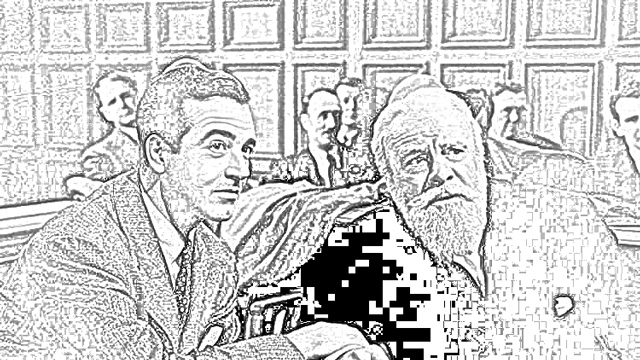 Edmund Gwenn did not actually have a beard even though Natalie Wood pulls it - hard - to see. He also gained 30 pounds for the role. "Miracle on 34th Street" was shot on location in New York City in the actual Macy's Department Store. 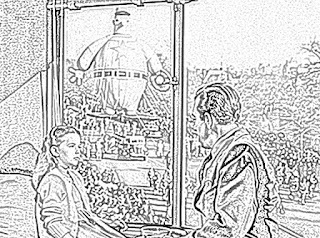 This gave a unique opportunity to film a scene which shows the actual Macy's Thanksgiving Day Parade rolling by outside. 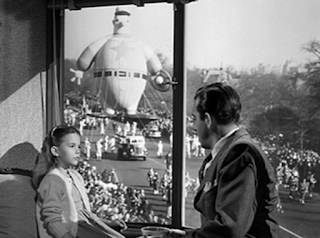 In fact, in an early scene of "Miracle on 34th Street," Natalie Wood and John Payne are shown having a conversation in front of a window overlooking the parade. 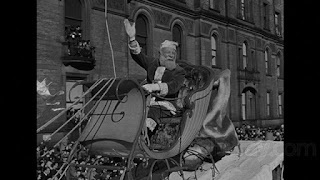 That was the very Thanksgiving Day parade in which Edmund Gwenn rode on a float portraying Santa Claus. 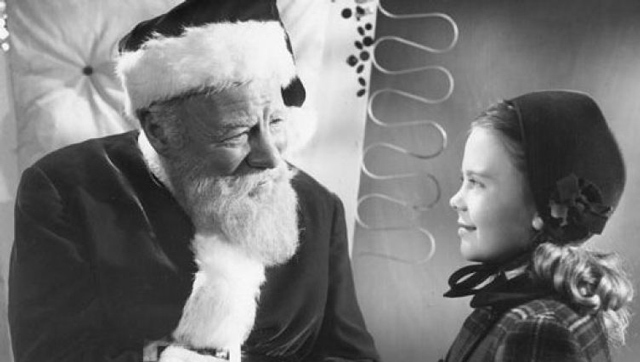 Only three Christmas films have been nominated for the Best Picture Academy Award. 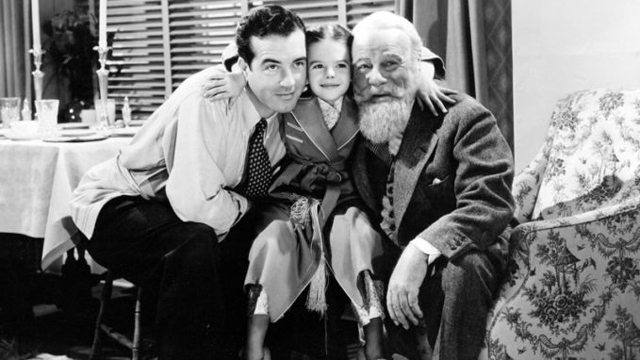 They were "Miracle on 34th Street," "It's a Wonderful Life," and "The Bishop's Wife" (1947). 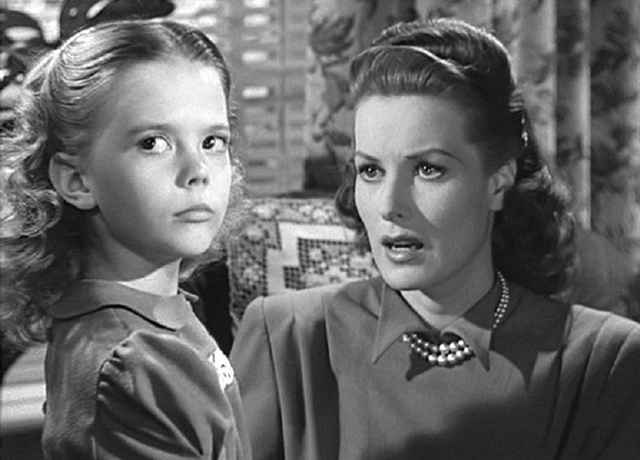 None of them won, and no Christmas films have been nominated since. 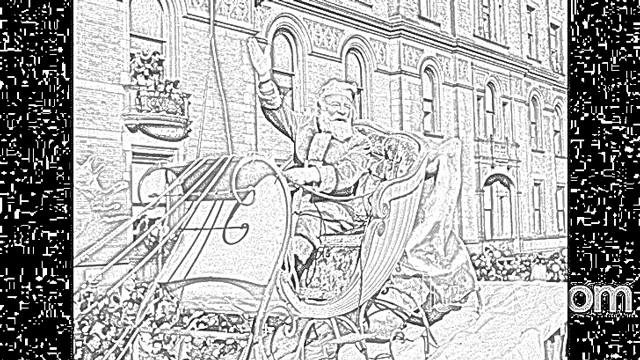 Macy's reportedly closed early one day in 1947 so that its 12,000 workers could see the first run of "Miracle on 34th Street." 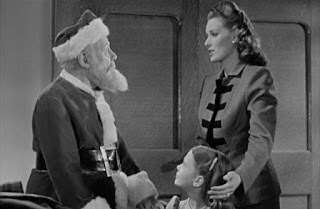 Maureen O'Hara, Edmund Gwenn, and John Payne routinely walked together along Fifth Avenue after each day's shooting, which was done essentially in real time during the 1946 holiday season depicted in the film. 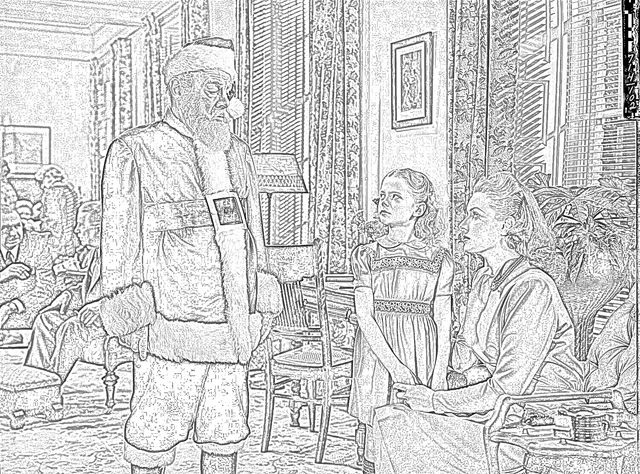 The decision to release "Miracle on 34th Street" during the summer led the studio to disguise the fact that it was a holiday movie. 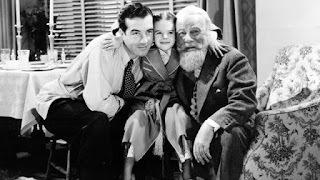 So, the studio changed the film's original title, "Christmas Miracle on 34th Street," to drop the reference to Christmas. 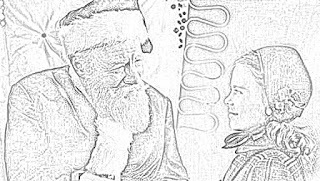 If it's the holiday season when you read this, look in your local theater listings - there's often a showing of "Miracle on 34th Street" in a theater near you!